This is a simple, classic, sticky treat, that Small Boy and myself enjoy every now and again. They also freeze well, so I make four – we have one each, and pop the remaining two in the freezer. If you don’t have pudding tins, then a deep muffin tray will do the job just as well, but may make six smaller desserts instead. Lemon Sponge Pudding. 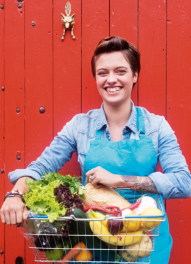 Jack Monroe, April 2013. Place the butter in a microwaveable dish and heat on the defrost setting for 30 seconds until soft. Transfer to a large mixing bowl. Add the sugar and a few shakes of lemon, and mix together until well combined. Break the eggs in, and add the flour. Mix well with a fork or wooden spoon to create a smooth, glossy batter. Lightly grease each of your pudding tins with a little extra butter to stop the puddings from sticking to the sides – which will ruin a seriously good dessert! Dollop a generous blob of lemon curd in the bottom of each pudding tin. Divide the batter between each pudding tin, spooning it on top of the lemon curd until each tin is approx 2/3 full. Cook in the centre of the oven for 30 minutes at 170C. They should be risen, light and golden, and should come away from the tin easily to serve. Tip into a bowl to serve. Can be served with additional lemon curd, warmed through to make a sticky sauce – that’s how I eat mine! Oh, that sounds so yummy 🙂 I’ve just found your blog via your open letter to George Osborne, an excellent article I will definitely share around – but of course my eye was then drawn to the desserts! 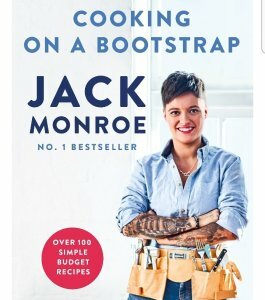 I’m feeling inspired to change how I eat and cook from scratch while also saving money, I want to use your recipies and would like to buy your recipe collection. 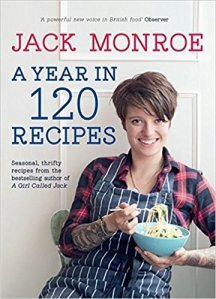 Do you have them as an e-book or similar? I think this would be money well spent. Also, you are an inspiration as I have a two year old boy and can’t imagine what it must have been like for you going through what you did and managing as well as you seem to have, at least on the surface. You should feel very proud and I am sure good things are to come for you and your family. 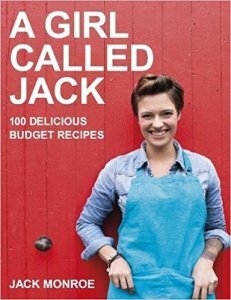 Andrea I believe Jack has a book coming out soon! I’ll be buying. Much easier to find all the recipes in a book imho! 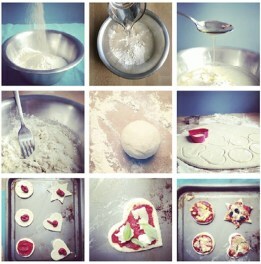 These are delicious and look quite easy to make too. A really delicious pudding. If you can stretch your budget to make home made lemon curd as I did this becomes a truly sensational restaurant quality dessert. My husband and I scoffed the lot between us. Thanks! It’s a fave with me and Small Boy. I like it with fresh ginger grated in too – but that’s another day! fantastic website. Thank you so much, my husband and I have 3 growing children and are always looking to save money on an out of control food bill each week . These and the jam ones make an ace pudding on a cold day. Our little boy loved his – thank you Jack. First – what a fab web site! Thank you. AND congrats on all the praise coming your way – very well deserved. 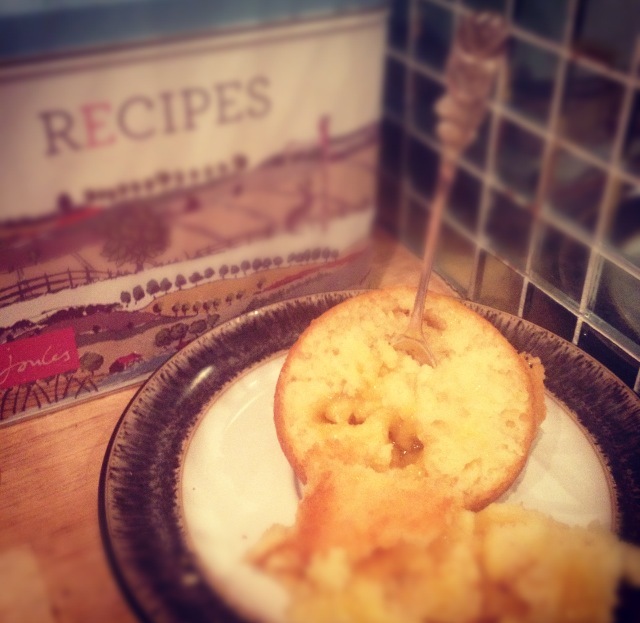 Quick question on the lemon puds – do you freeze after cooking and how do you then cook after freezing? Like the sound of lemon and ginger too! Made some for the mum’s at school and they were devoured in the playground. Thank you for the continued inspiration and recipies ! Jack, I made these once as I didn’t have any puddings in, but had ingredients in cupboard, I have now made them 3 times and my boys cannot get enough of them along with the jagaloo, and bean burgers. I am looking forward to making the chocolate, chilli soup and spring piggy. My American boyfriend is converted too, all the way in Baltimore. Keep up the good work, love hearing about the recipes and politics. I really like the look of this recipe…but I can’t eat butter or similar. Would this work with oil and if so which type would you recommend, and what quantity should I use? I just chopped up a tired old peach and pear and chucked it in the cake mix before baking, so tasty!! I pulped tinned apricots left over from a previous recipe (your chickpea and apricot curry) and used these in place of lemon curd, with syrup from the tin instead of lemon juice. Also sprinkled a little coconut on the top. So quick to throw together and they were perfect! Thank you for sharing this brilliant recipe – I’ll definitely be making this again!